After Microsoft’s XP, I am a big fan of MS Office 2007. I frequently use MS word and while working with MS Word, I found two bugs that I am sharing today. One bug is regarding sub-numbering system and other regarding changing case of the line. Suppose I want to give sub-numbering (like 2.1, 2.2, 2.3) to the text. As per my best knowledge, MS Office does not directly provide such facility to number. 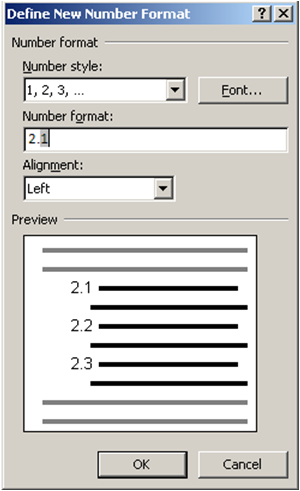 The default numbering system is shown in the first figure. There is another manual method to give such numbering. Just type 1.1 then type the text you want then press “Enter” 1.2 will be automatically appeared. But this will not work with 2.1, 2.2…. 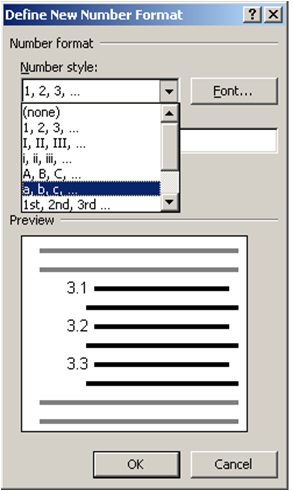 If you need a series like 3.a, 3.b, 3.c then you needs to select a, b, c from ‘Number style’ as shown in the third figure. 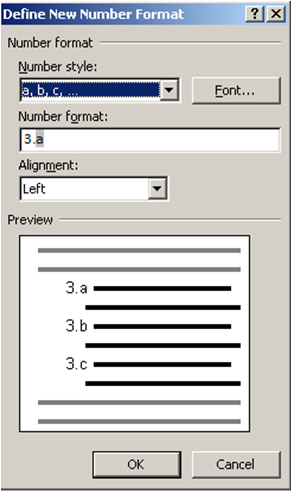 Then add 3. before the a in the ‘Number format’ as shown in the fourth figure. With the change case tool, you can change the case of text to other types. When I was changing the case of line to ‘Sentence case”, then there is no effect on the line. I have to convert it to ‘UPPERCASE’ or ‘lowercase’ then to ‘Sentence case”. Note: If you find better solution, please share with me. In Multilevel List option we can have sub numbering system directly. Thank you Manisha for updating my knowledge. Yes there is an option, I tried that but that doesn't worked properly for me.